proceeds from sales of artists’ work to a local, child-focused non-profit organization. 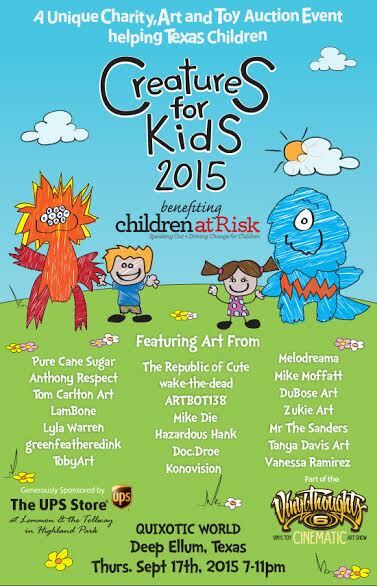 such a great cause.” says Toby Grauberger, Founder of Creatures for Kids. Lemmon Ave and The Tollway, Dallas. For more information about Creatures for Kids, please visit www.creaturesforkids.org. For more information about CHILDREN AT RISK, please visit www.childrenatrisk.org. It's time to let your freak flag fly! 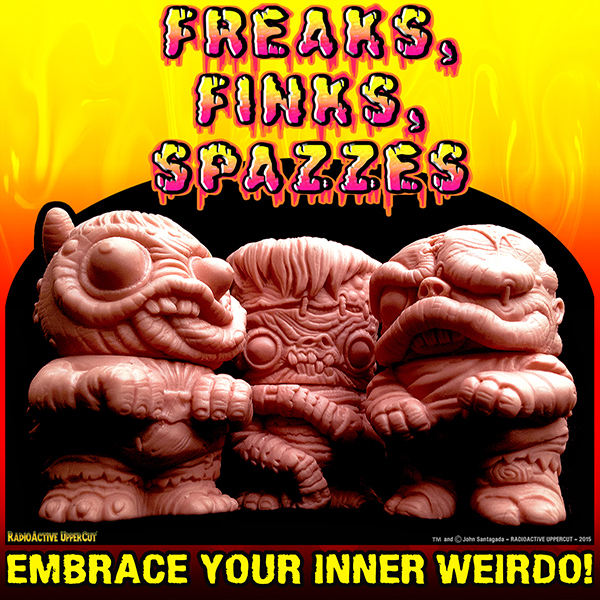 The Freaks, Finks and Spazzes have crawled out of the stinkiest sewage and are on the loose to help YOU embrace your inner weirdo! Drawing inspiration from the Lowbrow likes of Ed Roth’s Rat Fink, gross-out toys such as the Madballs and cult figures the Ma-Ba Zombies, the initial line-up is set to feature a total of 3 very different miscreants – Franken Corpse, the Coffin Licker and Spider Brains. The figures will be produced in a solid-cast keshi-style soft resin, with each figure standing 3" tall and a whopping 2" wide! 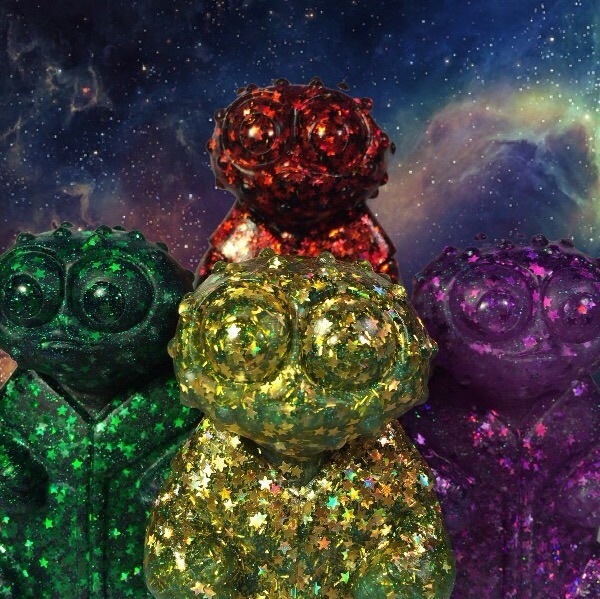 Created and designed by the Radioactive Uppercut, these super chunky weirdos have been sculpted by David Arshawsky of Turtle Milk Studios and will be produced in keshi by Tru:Tek of Disart ToyLabs. Pre-orders on the first edition, in 'keshi pink', will be opening in the Radioactive Uppercut online shop this coming Thursday (09/10) at 8pm EST and will last for two weeks or until all spots in this limited run are filled. There will be no quantity limits on each order. Single figures will be $30 each and the full set of 3 will be $87. Each figure will be packaged separately in polybag and topped with header card. Bounty Hunter Z is hand cast in plastic featuring detailed paint applications and original "Micronauts inspired" card artwork. This figure is a very limited triple-collaboration between artists @FloodThisEarth, @SkipBroToys, and @S_A_Monster. You will receive one highly detailed action figure with 5 points of articulation that stands approximately 3.75 inches tall and comes carded on an action figure cardback with a blister bubble. 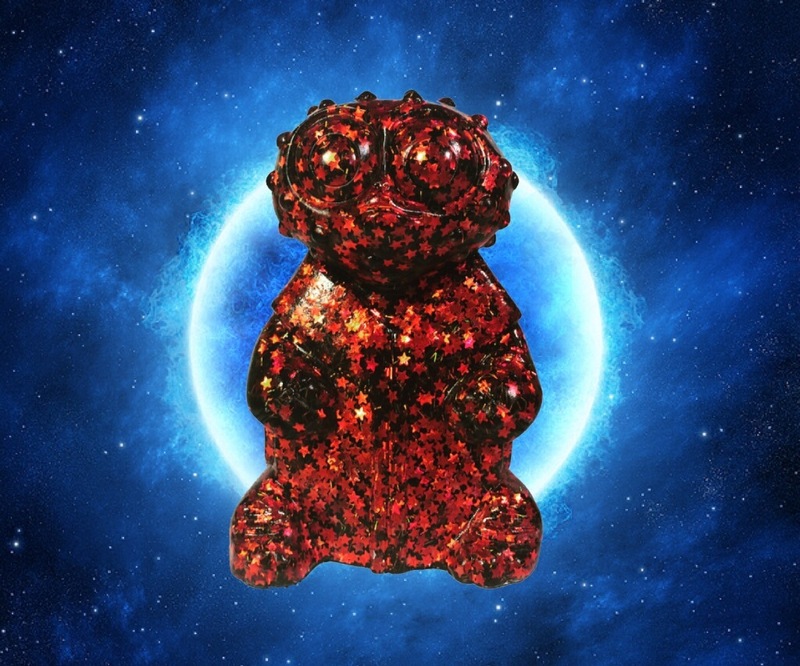 This art toy is not a toy. Recommended for ages 30 and up. Please note that this is a hand painted and hand cast item, minor variations may be seen between figures. S/H $5 to most U.S. destinations. $10 to everywhere else. 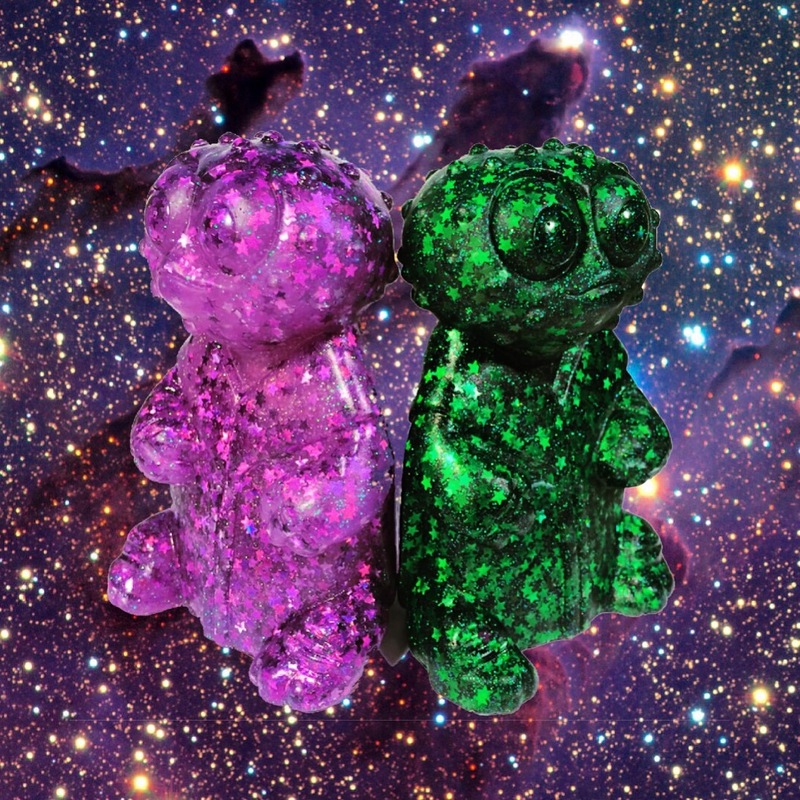 CHEAP RESIN: ECT TOYS "CREEPER 2"
Fresh from ECT Toys, these guys are from a different galaxy and traveled to Earth to creep on humans... All the creep you need for a $20!